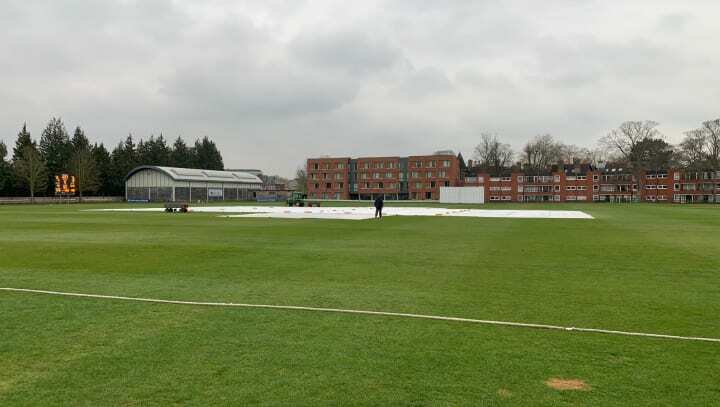 Peter Moores isn’t overly concerned that his players have missed out on some valuable match time after wet conditions wiped out the final day’s play against Cambridgeshire MCCU at Fenner’s. Morning drizzle led to umpires James Middlebrook and Neil Bainton calling an early lunch at 12.30pm but with the rain still falling the officials had little choice but to call the match off. “I think everybody has had plenty of time in pre-season,” he reflected. “Of course, there’s always a bit of “we’d have liked this or liked that” but I think we’re ready to play competitive cricket. “There’s a point where you’ve prepared enough and sometimes it’s those bigger games that will bring more out of some players. I think Joe (Clarke) would have liked more time at the crease (at Fenner’s) but it’s not going to dictate how well he’ll go in the first game. Moores, beginning his third season at the helm at Trent Bridge, is content at how the close-season preparations have gone. “The main thing we use the winter for is to identify for the players the main areas that they want to get better at, from a skill point of view. “What we’ve already seen from two or three of the lads that we’ve worked with is that they’ve worked on certain areas and it’s already starting to show. New signings always give everyone a lift and the Head Coach is delighted with the impact already made by some of the new boys. “It’s a new team,” he remarked. “I think that’s what everybody has to accept. We’ve got some new players and some old players and we’ve got to gel them together and make sure we’re competitive. “It is a squad we’ve seen really coming together over the last two or three weeks. They’re all comfortable with each other and how people play and how it all fits together. “Things like sorting out the slip cordon and other little things that you need to get right before the first game - I feel that has all come together and we’re getting to where we want to be. “It’s exciting for the new signings especially, because they are ambitious players who want to go onto the next level. “We’ve now got a lot of lads who are very ambitious to move forward at different stages of their careers. We’ve seen Steven Mullaney captaining the England Lions and the likes of Ben Slater, Ben Duckett, Joe Clarke, Tom Moores – a lot of young lads – all pushing their careers forward. Nottinghamshire’s Championship campaign begins with home fixtures against Yorkshire (starting on Friday) and Somerset, two sides that the county struggled against at the back end of last year. “Part of playing it is to be competitive in any format and maintain that level throughout the season and to the end of each competition,” he added.